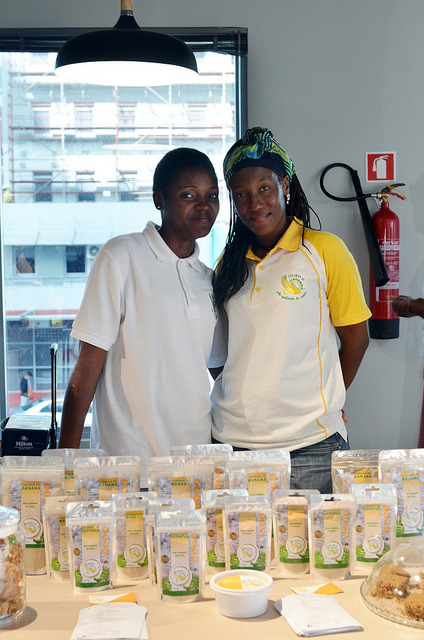 In Mozambique there is an exciting new wave of young women entrepreneurs emerging, all building great new businesses and brands, and inspiring each other with their success. 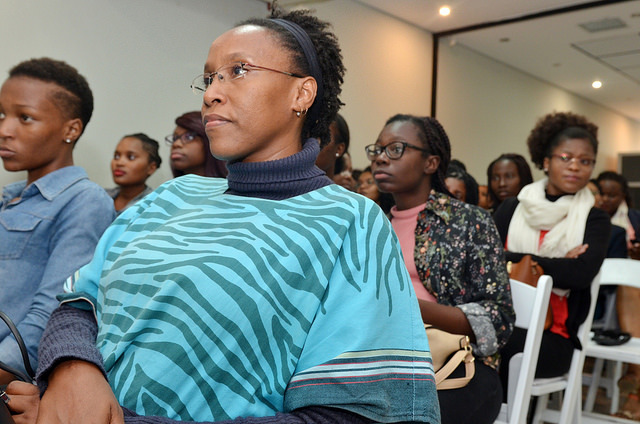 On 18 May, Lionesses of Africa together with Standard Bank in partnership with the Embassy of the Kingdom of the Netherlands, brought together some of these up and coming young entrepreneurs with an audience of young women who look to follow in their footsteps. 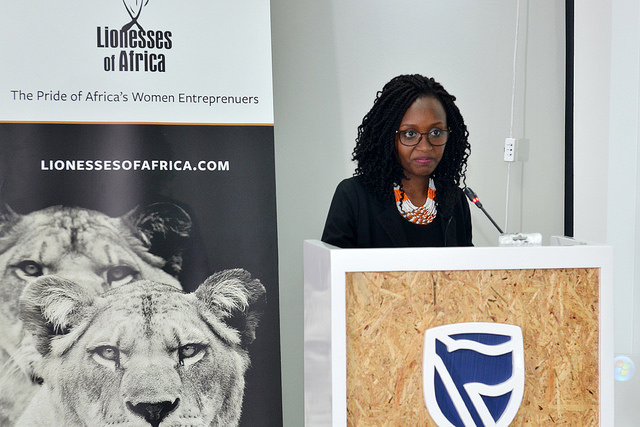 The Young Lioness Lean In event took place on the afternoon of 18 May at the Standard Bank Business Incubator in the Maputo, a great hub for new entrepreneurs to meet and network. 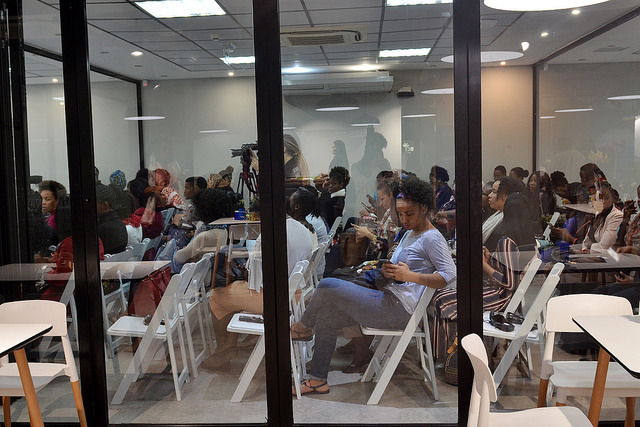 The aim was to showcase young women-owned businesses, to hear them share their personal stories of how they built their companies and brands, and to connect them with other aspirant young women entrepreneurs. Like the previous series of successful Young Lioness Lean In events run last year in the country, it was all about sharing, inspiring and connecting through great networking. The Young Lioness Lean In event started at 1.30am on the afternoon of Friday 18 May with networking, a light lunch and the opportunity for attendees to browse through the pop-up marketplace featuring local women business owners showcasing their proudly Mozambican made products. The event then really got underway with a welcome from Sheila Juvane, the Incubator Community Officer at the Standard Bank Incubator, followed by a few words from Eleasara Antunes, Policy Officer at the Embassy of the Kingdom of the Netherlands. Next to speak to the audience was Lionesses of Africa founder and ceo, Melanie Hawken, who kickstarted the proceedings in earnest with an update on all the new initiatives taking place in the Lionesses of Africa network. She also shared a video on the latest Startup Night Africa event which took place in London in April, showcasing Africa’s women brand builders in this important global market. Melanie then introduced the real stars of the afternoon’s event - three inspirational young women entrepreneur guest speakers sharing their own entrepreneurial journeys and experiences. The first of the Young Lionesses to take the stage was Cidia Chissungo, founder of Gillipe, who spoke about her journey to building her business which specializes in providing consulting and training in personal and professional development. She explained how her business has built its reputation by focusing on providing skills and life training for young people, mostly from universities. Next came Vanessa Nhabete, co-founder of Dali Banga ventos & Mulandi Brindes. She shared her story of building two businesses and brands, each one distinctive but complementary in their service and product offerings. She introduced her company, Dali Banga Eventos, which creates special event, decorative lounge seating and rustic cake table decorations for all ages and occasions. 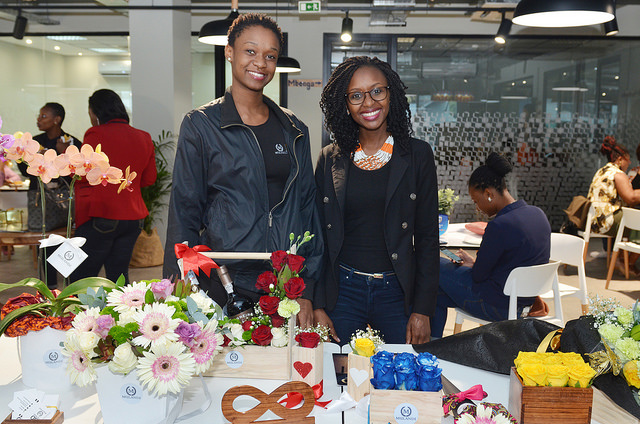 Secondly, she presented Mulandi, her business that creates beautiful floral arrangements and gifts for those wanting to give something highly personal to their clients, friends and family. The third and final speaker was Madina Abacar, founder Miss Abacar, a well-known entrepreneur and voice through her popular blog Miss Abacar. She talked about her ambitions for her business and the growth of her blogging platform, which focuses on the world of fashion, health, philanthropy, lifestyle and everything that has color and life, with the goal of being an influential voice and advertising vehicle for Mozambican brands. The Young Lioness Lean In event also featured a women’s entrepreneur marketplace, showcasing the products created by the following rising star businesses in Maputo: Carmen Miral of Black Khakhela (hair products); Alda Lucia of Utomi Cosmeticos (oils and soaps); Cristina Rocha of Daisy Handmade soap (handmade soaps); Florbella Mudiuie/ Filomena Matimbe of Finana (products made of banana); Shanna Chicalia of Shanna Chicalia (capulana purses); and Vanessa Nhabett of Mulandi Brindes (floral gifting products). In addition to the marketplace, there was also live music with accompanying African decor and catering.